Copperhead, the sequel to Tina Connolly’s Nebula nominated debut novel, fully lives up to the promise the first book. 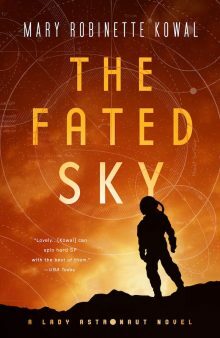 When I heard Tina read chapter one — and she is a phenomenal reader — at a SFWA reading, my immediate response was “Why do I not already have this book?” It’s witty, both in terms of the characters and its social commentary, and sets up a strong promise of danger. Does it fulfil that? My dears… why do you think I’m recommending this book? 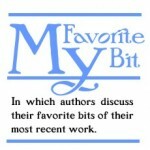 So what is Tina’s Favorite Bit? Ironskin is the story of Jane, and it’s set mostly in the country. With Copperhead I knew I wanted to tell the story of Jane’s younger sister, Helen. It’s set six months later, in the city. Helen is trying to track down a list of a hundred women who have all upgraded to fey-beautiful faces—and now need to be made safe from the fey. And these women come from all walks of life. Many are upper class due to the original cost involved, but several of the key women we meet are the artistic sort—an actress, a jazz musician, a costumer. And My Favorite Bit was absolutely that I got to spend a lot of time with theatre folk in this book. One of my favorite authors growing up was Noel Streatfeild, who was one of the first—maybe the first—to start a certain subgenre of fiction: children working in the arts. (Ballet Shoes is her most famous book.) She was an actress herself, and she wrote very detailed stories of what it was like to be a kid in the 30’s going into the theatre, dance, skating, the circus. (She was very prolific and wrote for many decades, so later there were movie and TV stories, too.) Her kids were not dilettantes—these were stories about kids who worked hard at the things they loved, in creative fields where it’s difficult to succeed. So that was one influence. Another, of course, was my own time in the theatre—it was pretty much my main obsession until I discovered that in writing you got to be ALL the characters. So, chapter two, a flamboyant theatre actress named Frye walks in. She was supposed to be a minor part. But looking back, it’s pretty obvious (now!) that she was always going to take over and become a driving force in the book. I’m not sure how I could have ever thought she wouldn’t. And then, of course, got to populate the scenes at Frye’s house (where actors drop in and out and sometimes stay for weeks) with even more theatre folk. Besides the fun of just writing about them, it was really nice to have a set of career women to compare to some of the upper class, non-career women that Helen meets. Helen finds her expectations and stereoptypes confounded with all the women in general, but it was really interesting to delve into the reasons behind wishing to be more beautiful and charismatic—when it’s something that can help you in your chosen career. Helen only brushes tangentially onto the theatre world as she’s trying to help The Hundred. I didn’t send her off to auditions and rehearsals and opening nights—she herself is decidedly uninterested in starting a new career in that direction. I suppose one of these days I’ll have to just sit down and write an entire novel about theatre people, which will be the equivalent of an entire novel full of My Favorite Bit. Tina Connolly lives with her family in Portland, Oregon. Her stories have appeared in Lightspeed, Tor.com, Strange Horizons, and Beneath Ceaseless Skies. 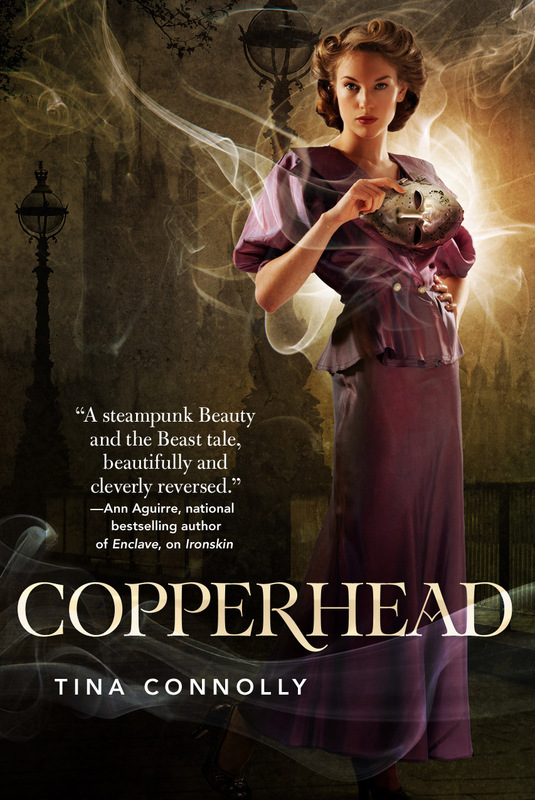 Her first fantasy novel, IRONSKIN (Tor, 2012) was nominated for a Nebula, and the sequel COPPERHEAD comes out today! She narrates for Podcastle and Beneath Ceaseless Skies, runs the Parsec-winning flash fiction podcast Toasted Cake, and her website is tinaconnolly.com. Okay, anything that starts with Noel Streatfeild love I have to buy!!!!!! !